Here is my latest upgrade project. This was also my first time cutting my own sidepanel, and doing stealth cdroms. 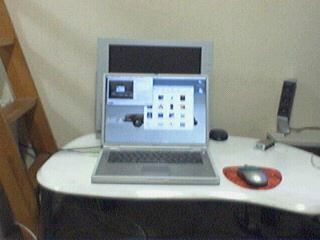 This also shows my new 17" powerbook . Future plans call for a matching display. Computer, mp3 player, speakers. it's a perfect world down here. They were a gift from my girlfriend for my birthday a few years ago. I don't really like them: they seem a little too big: they take up about 7 square feet of floor space in my rather small 150 square foot room and I've got another pair of cerwin vegas upstairs. EDIT: Less bragging and complaining so I don't sound like such a princess. 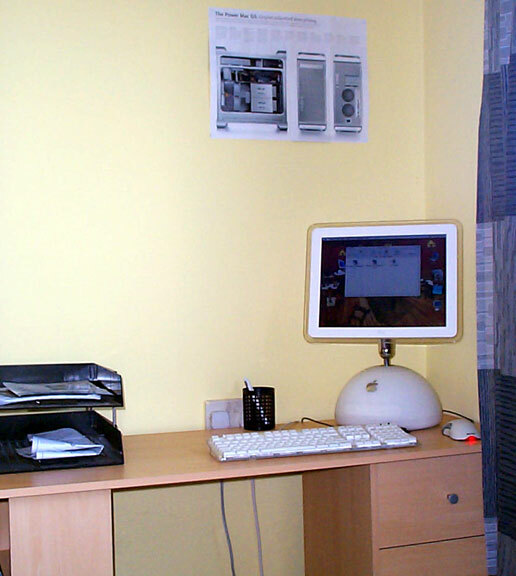 Or a smaller mac (power book 12")!